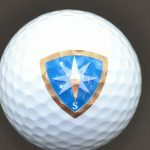 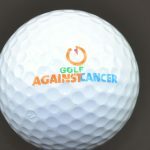 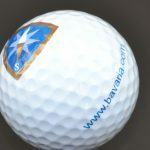 Starting at 120 golf balls (Nassau Quattro), Nassau offers your company the opportunity to customize your golf balls by enhancing them with your own logo, name or picture. 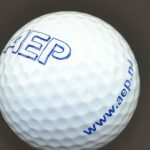 We use 3 different methods of printing golfballs. First of al we have uv printing. This is our newest way of printing. 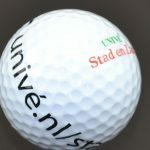 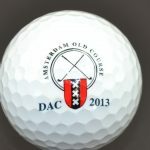 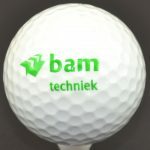 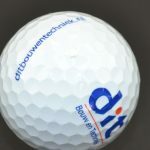 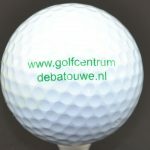 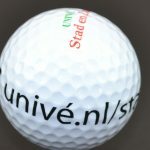 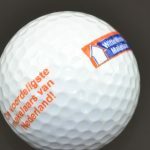 With this method we can print almost everyting on your golfbal. Picture’s, logo’s, individual names. You name it and we can make it. 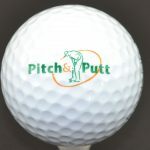 Secondly we use pad printing. 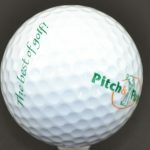 This is our most used method of printing. 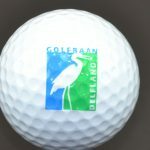 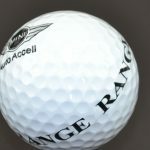 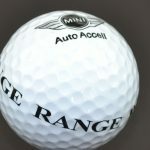 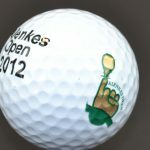 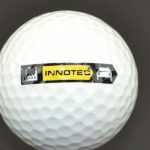 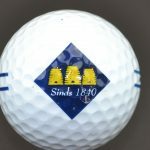 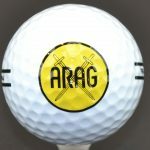 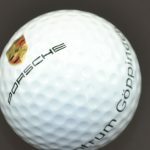 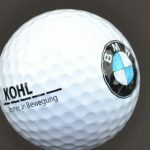 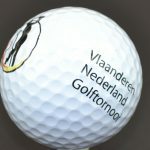 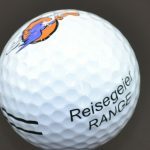 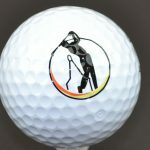 This is a fast way to get your logo clearly on the golfball. Lastly we have the option to print during the production of the golfball. 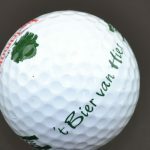 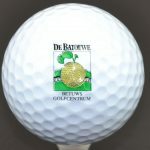 The unique advantage of imprinted Nassau golf balls is that the ball’s layer of lacquer covers the print. All quality golf balls are finished by a layer of varnish. 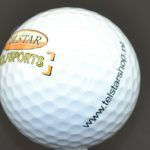 Usually, a company logo is added on top of that layer after production. Nassau golf balls are imprinted during the process of manufacturing, before the finishing layer of lacquer. 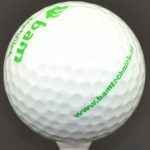 This enhances the durability of the imprint as opposed to golf balls imprinted after production. Estimated time to deliver and manufacture in our factory is 10 weeks.